Many of Senegal’s largest rivers are flanked by corridors of green and interlaced with networks of sinuous creeks and streams. These lush green areas are havens for mangroves—short, shrubby trees with waxy leaves and tangles of finger-like roots that rise from shallow tidal areas. The blend of land, water, and wood that define Senegal’s mangrove forests are not just beautiful; they are important. Mangroves store large amounts of carbon. Studies have shown that mangrove forests sequester at least two to four times more carbon than other tropical forests. They also provide breeding grounds and nurseries for fish, prevent erosion during tropical cyclones, and help cleanse waters of pollutants. While scientists estimate that Earth lost at least 35 percent of global mangrove habitat between 1980 and 2000 (often due to aquaculture and other coastal development), there are signs that these ecosystems are surviving and even retaking lost ground in some areas. For instance, Senegal’s mangroves have experienced significant regeneration and expansion since 2000, according to a satellite-based analysis by NASA scientists Lola Fatoyinbo and David Lagomasino. Over the 16-year period, the scientists measured an expansion totaling 48 square kilometers (19 square miles), or 2 percent. They observed regeneration across 148 square kilometers (57 square miles), an increase of 6 percent. This regrowth after decades of loss likely had several causes, the scientists say. A prolonged and damaging drought in the 1970s and 1980s killed many of Senegal’s mangroves; the water became too salty when the freshwater flow from rivers dwindled. The easing of that drought allowed mangroves to recolonize many areas. Meanwhile, the normal deposition of sediment along river edges has created new shallow areas that mangroves have been able to colonize. Senegal has established parks and used other conservation measures to protect some mangroves from being damaged or cleared. Several non-governmental organizations and environmental groups also launched mangrove-planting projects. The Saloum and Casamance deltas, in particular, have been a focus of “blue carbon” restoration efforts, with one organization reporting that it planted more than 79 million trees in the two deltas. 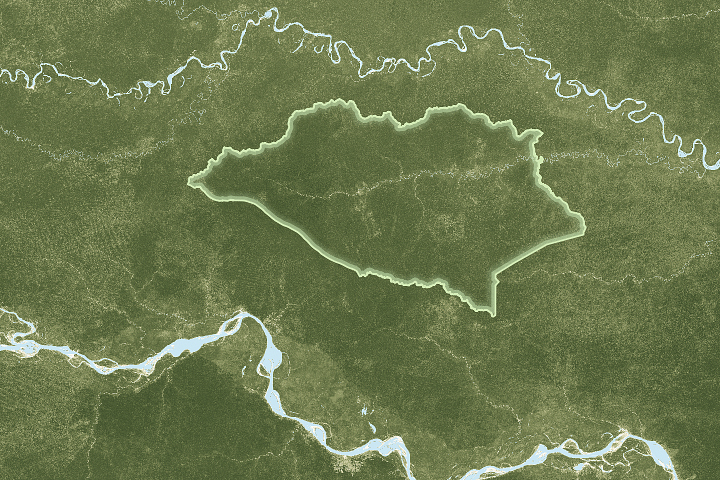 The map above shows how mangrove forests along the Cassamance River changed between 2000 and 2016. 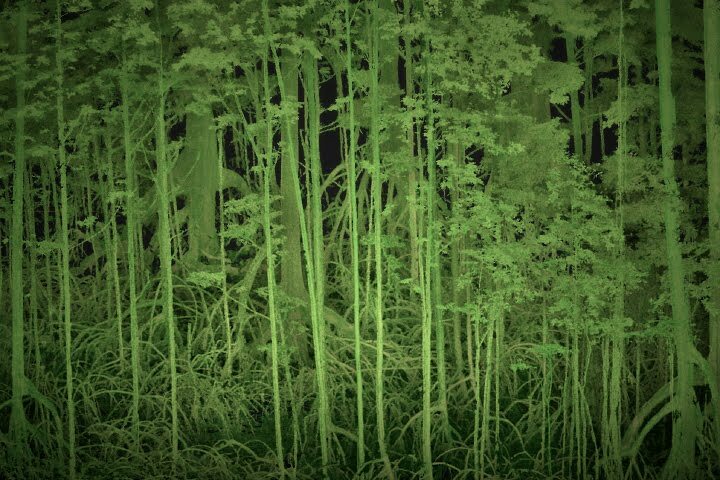 The analysis is based on Landsat satellite observations of the “greenness” of vegetation, or the Normalized Difference Vegetation Index (NDVI). Areas marked as gain (teal) had no mangroves in 2000 but measurable growth by 2016. 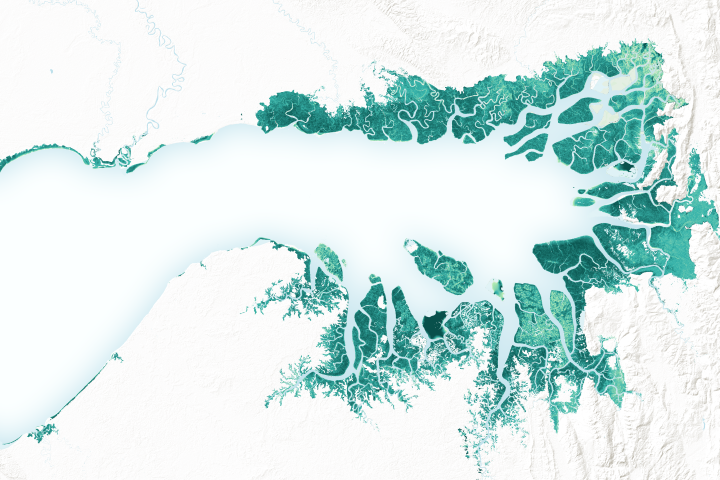 Areas marked as having regenerated (green) had mangroves in 2000 that became significantly greener and denser by 2016. The natural-color image below was acquired by the Operational Land Imager (OLI) on Landsat 8 on March 5, 2018. Editor’s Note: March 21 is the International Day of Forests, a day established by resolution of the United Nations General Assembly to celebrate and raise awareness of the importance of all types of forests. Fatoyinbo and Lagomasino conducted their analysis in support of a partnership between NASA and the United Nations to track progress toward achieving Sustainable Development Goals. 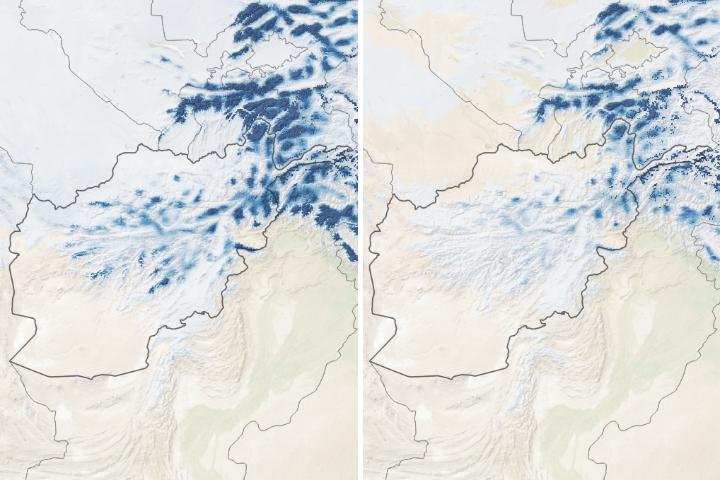 Several NASA initiatives are underway to demonstrate how satellite data can be used to help countries monitor progress towards a number of these goals. NASA Earth Observatory images by Joshua Stevens, using data courtesy of David Lagomasino/NASA Goddard Space Flight Center, and Landsat data from the U.S. Geological Survey. Story by Adam Voiland. 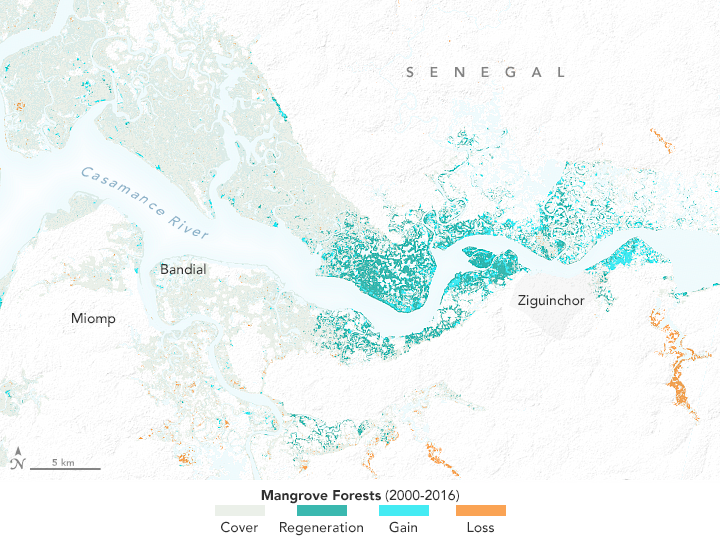 After decades of decline, satellites show mangrove forests are covering more area and growing more densely in this West African country. Andrieu, J. (2018) Land cover changes on the West-African coastline from the Saloum Delta (Senegal) to Rio Geba (Guinea-Bissau) between 1979 and 2015. European Journal of Remote Sensing, 51 (1), 314-325. Doughty, C. et al, (2016) Mangrove Range Expansion Rapidly Increases Coastal Wetland Carbon Storage. 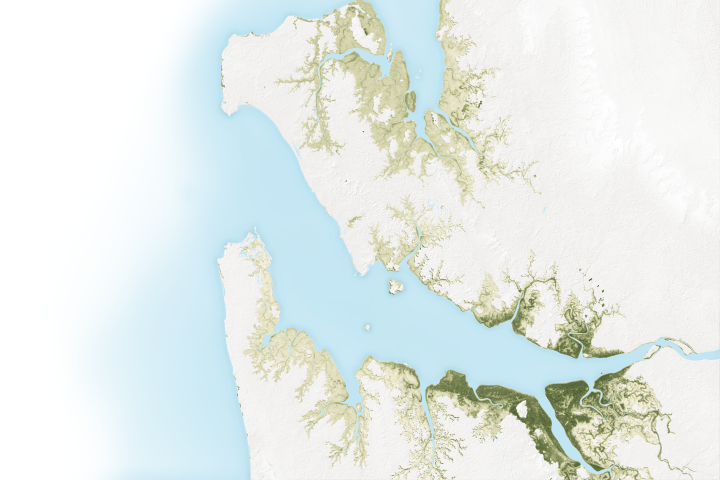 Estuaries and Coasts, 39 (2), 385-396. Fatoyinbo, T. & Simard, M. (2013). 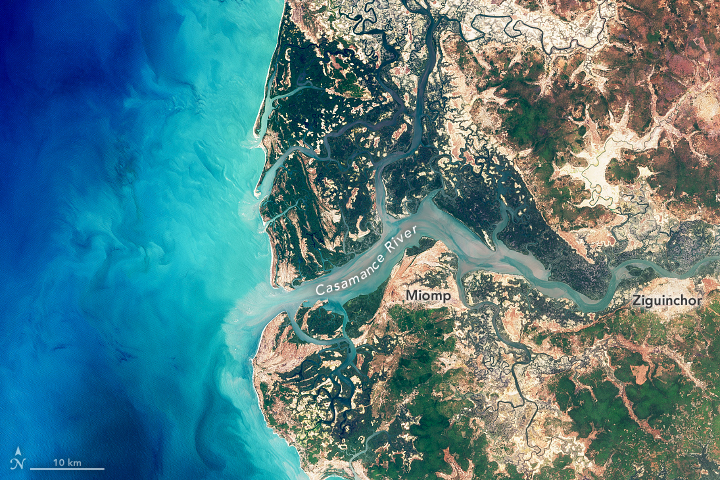 Height and biomass of mangroves in Africa from ICESat/GLAS and SRTM. International Journal of Remote Sensing, 34 (2), 668-681. Feller, I. et al, (2017) The state of the world’s mangroves in the 21st century under climate change. Hydrobiologia, 803 (1), 1-12. Giri, C. et al, (2011) Status and distribution of mangrove forests of the world using earth observation satellite data. Global Ecology and Biogeography, 20 (1), 154-159. IRIN (2008, October 14) Protecting livelihoods through mangroves. Accessed March 20, 2018. IRIN (2017, December 17) Jury still out on huge mangrove regeneration project in Senegal. Accessed March 20, 2018. 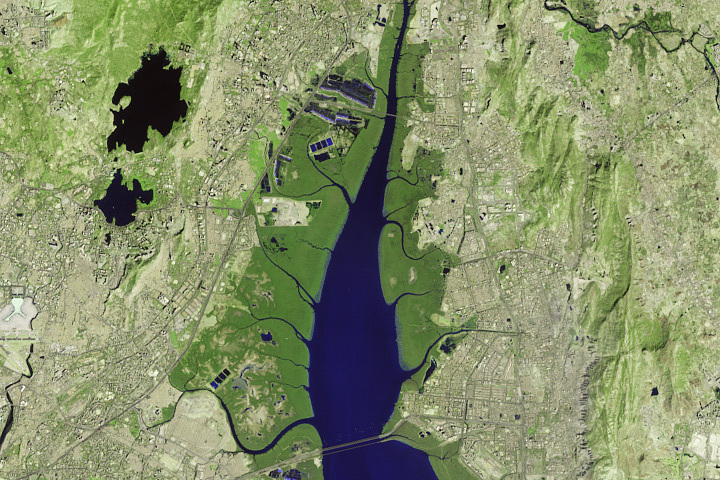 NASA (2017, December 15) Global Mangrove Mapping with Landsat. Accessed March 20, 2018. NASA Earth Observatory (2017, March 22) Mangrove Carbon With a Grain of Salt. Accessed March 20, 2018. NASA Earth Observatory (2017, June 1) Below the Mangrove Canopy. Accessed March 20, 2018. The Conversation (2018, February 9) Mangroves protect coastlines, store carbon - and are expanding with climate change. Accessed March 20, 2018. U.S. Geological Survey Mangrove Changes. Accessed March 20, 2018.